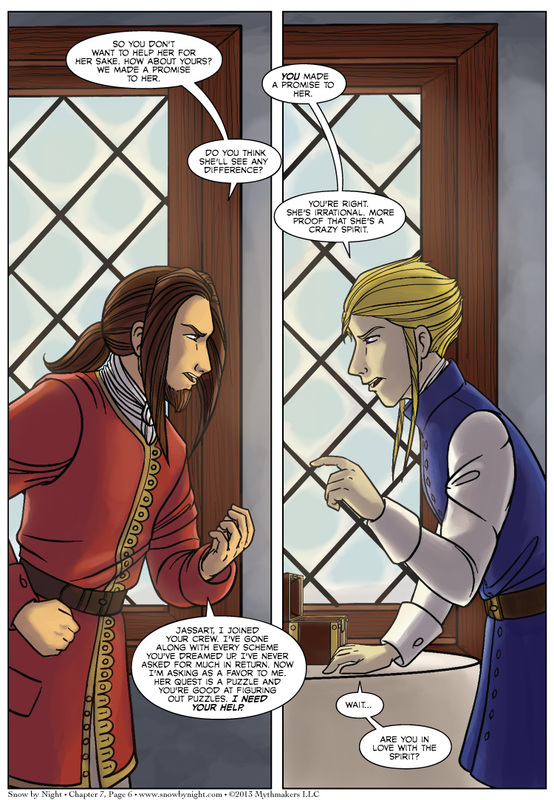 Blaise and Jassart have strongly differing opinions on what to do with the manitou on Chapter 7 Page 6. To see a preview of Wednesday’s page, please vote for Snow by Night on Top Web Comics. Otakon rapidly approaches. 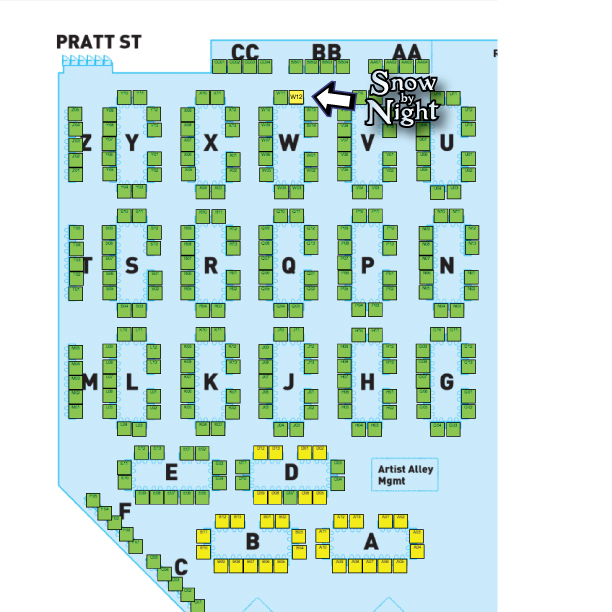 Snow by Night will be in the Artist Alley at Table W12. Here’s a handy map on how to find us. We’re right next door to our good friend Julie Wright of Ianua at W11, around the corner from Whitney of Prism the Miracle at W13, just down the way from Technoangel Studios at W09, within easy speaking distance from Eren and Cheznian of Tamuran at W05, too close for her comfort from Jenn Zyren Smith of LaSalle’s Legacy at W06, across the way from Jessi Bavolack and Matt Pascal of Geeks Next Door at BB02, who are neighbors to Danny Valentini of Draconia Chronicles at BB03, who is next to the Tangent Artists at BB02, and they’re not too far from Lora Innes of The Dreamer at CC02, Mookie and Garth of Star Power at CC04, and Krow and Songbird of Spinnerette at AA01. One of the few webcomics we’re NOT near is Amya who are all the way over K03 and K04. Now, I don’t usually coment, I have a small critique that was bothering me… The word bubble “You’re right, she’s irrational. . . ” it’s got a bad tangent line going on there. The edge of the bubble is right on the edge of the panel line. It’s distracting. But honestly that’s it, I love everything else about this comic! Keep drawing. Ah yes. I see. When I was working at 300 dpi and zoomed it, that line wasn’t a tangent, but it became one at 72 dpi. It’s an easy enough fix. Thanks for pointing that out, and we’re glad you’re enjoying the comic. I mean, it’s just not healthy.